When we want to have a date night, Colin and I have two go-to places. 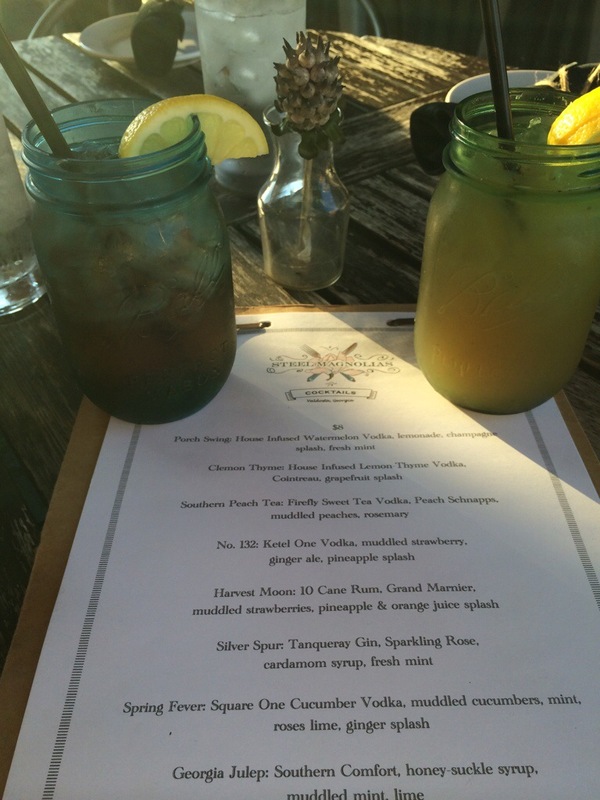 This past weekend we decided to go to Steel Magnolia’s with another couple. We didn’t realize that it was a local school’s homecoming dance that night so the downstairs area was fully booked so we had to sit up on the rooftop. That was fine with us because it was a beautiful night! Colin and I got there a little early so that we could just relax on the rooftop and enjoy a drink, and this way we were able to get a good table before our friends got there. We love Steel Magnolia’s because their take on food is Urban Southern Cuisine, plus they try to source as much of their ingredients from local farmers as possible. We started off our night with two drinks, and in typical Southern fashion they came in Mason Jars. I ordered the No. 132 (on the right) which had Ketel One Vodka, muddle strawberries, ginger ale, and a pineapple splash. Colin got the Bart Simpson. He didn’t specifically order that drink but he asked the bartender to make him something good, but not overly sweet, that had whiskey in it. The Bart Simpson is Crown Royal, amaretto, peach schnapps and cranberry juice. Both of these drinks were very delicious! I had never had their Deviled Eggs before so Colin insisted that we got some as an appetizer. How something so simple can be so delicious, I do not know!! The bacon was super crispy and it tasted as if they used more of a dijon, rahter than yellow mustard in the filling. I will be trying to replicate these soon. For dinner Colin ordered the duck, two ways. 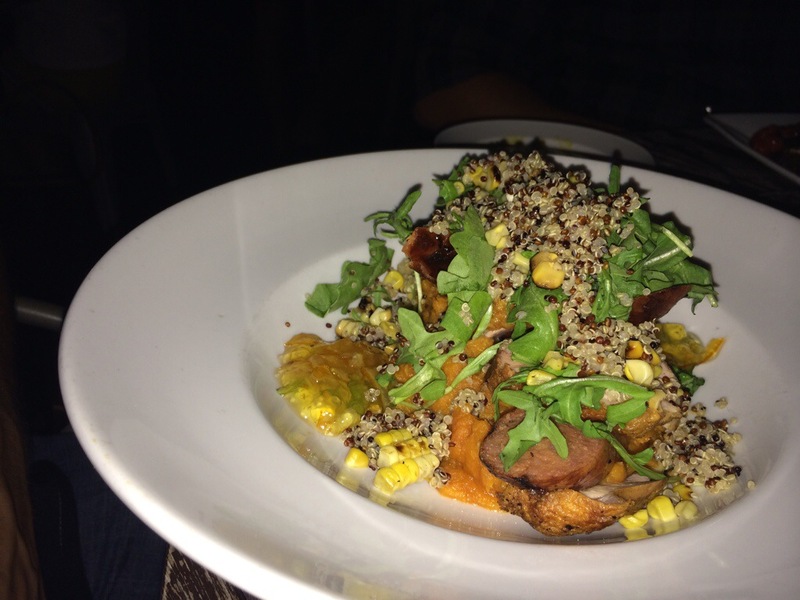 There was duck breast and duck sausage served on top of a sweet potato puree with a quinoa salad and a orange honey glaze. I haven’t had duck very many times, and my verdict is still out whether or not I like it. The glaze and sweet potatoes were delicious, but I’m not convinced that I am a duck person. For about two seconds I thought about trying something new but went with my usual tuna dish. It’s a blackened Ahi tuna steak served over gouda grits and topped with a black eye’d pea and cabbage sautee with blackened butter. 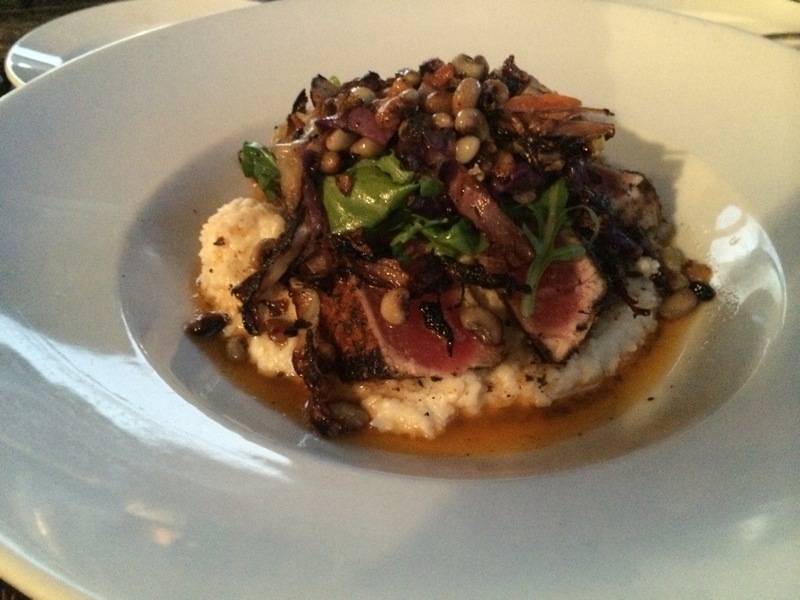 This dish is Urban Southern food to a T. I always get the tuna seared and nothing more. The quality of the tuna is of the highest caliber. To be honest though, this weekend both of these dishes felt like they were lacking a little seasoning. I’ve had this dish several times and I’m always blown away, but on Saturday it just needed something. Maybe it was because I had just tasted the best dish of the night before I ate mine. Our friend went out on a limb and he ordered the crispy eggplant. Holy smokes, I think I found a new favorite dish! I’m not usually a fan of eggplant but this was by far the best dish of the night!! The crispy eggplant is served with mozzarella on top of satueed spinach and stewed tomatoes and then topped with pesto and balsamic. I failed to get a picture of it, but don’t worry because the next time we go there, I will be getting it!! We were all completely stuffed after dinner but the chocolate peanut butter pie with a chocolate graham crust and topped with sea salt was calling our names! We got one for the table to share and it was the perfect end to our meal. It was salty and sweet and when dipped in a little chocolate sauce, it left you feeling satisfied! Overall, the meal was amazing and was the perfect date night! If you are ever passing through this area, hey we are pretty much the last stop if you are coming from the north and heading to Florida :), make sure you stop by and eat at Steel Magnolia’s!! They have an amazing lunch menu, too with some lighter meal options. 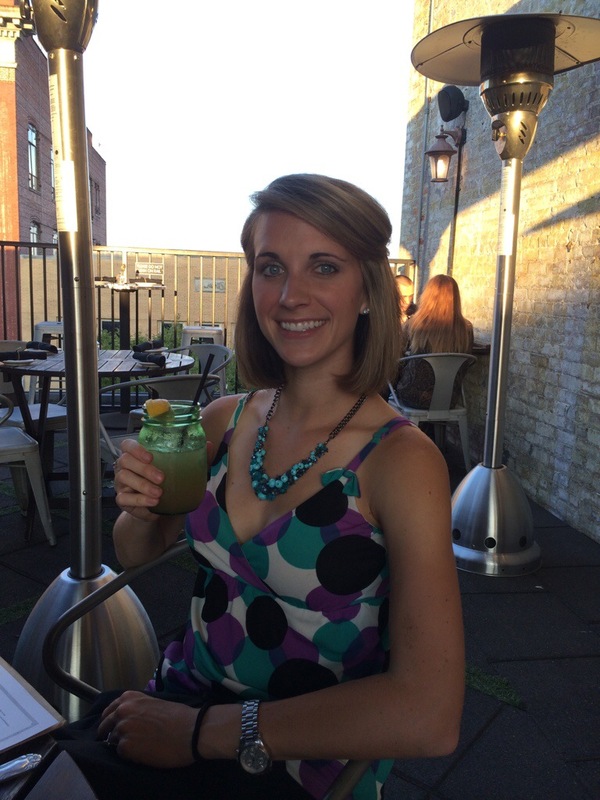 A big thanks to Amanda for being our hostess each week! Do you have a go-to for date nights? What kind of food is it? 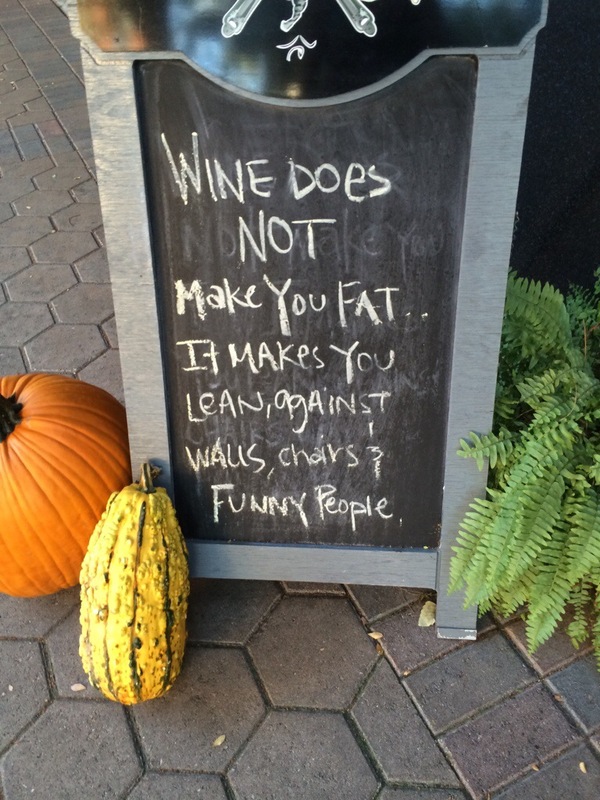 Are you an appetizer, meal and dessert kind of person? 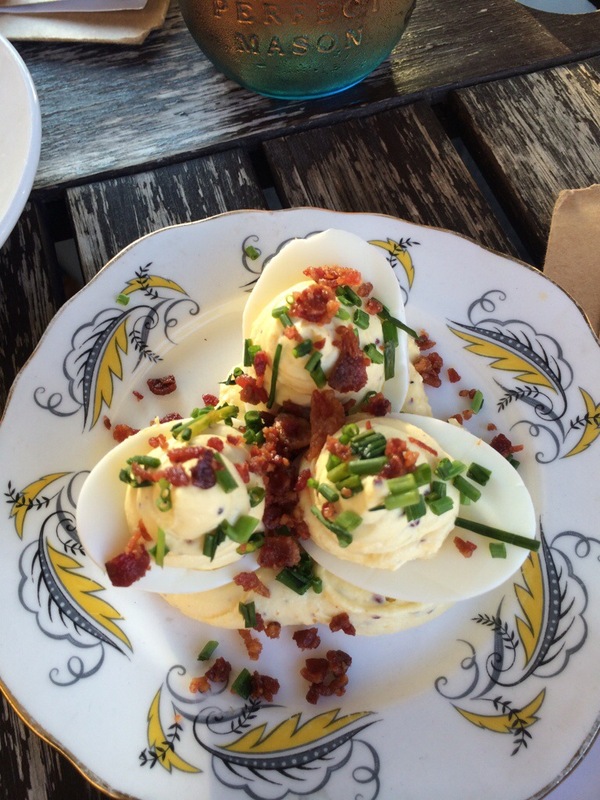 How have you not had deviled eggs before?? Aren’t they so good! I used to hate them as a kid, but love them now. On a completely random note, I finally watched Steel Magnolias this weekend. Cute restaurant name! I’ve had them before, just not from that restaurant! 🙂 I don’t think it’s possible to grow up in GA without having deviled eggs!! I did laugh a little bit because the same day I posted my rave about those deviled eggs I read in your post that you didn’t like yolk! I’m the same way with mayo. I secretly enjoy mayo occasionally, but rarely have it in or on anything.